For country-house buyers, outbuildings with the potential for conversion are increasingly becoming an essential requirement. ‘Barns are never just barns any more-they’re a deal clincher,’ says Adrian Wright of Strutt & Parker’s Private Property Search (07774 254749). ‘People’s lifestyles have progressed with technology; they work from home and require offices, gyms, and large entertaining spaces that simply can’t be squeezed into the floor plan of an average house.’ He’s encountered barns housing shooting ranges, classic-car collections and, most recently, a wine cellar masquerading as a vehicle-inspection pit. ‘It was only when I climbed into the pit that I discovered a door into an enormous temperature-controlled room.’ Conversions usually fall into one of four categories; sporting (gyms, swimming pools, games rooms and equestrian facilities); income streams (offices, light industrial spaces, studios, storage and wedding venues); lifestyle (home cinemas, play rooms, party rooms, wine cellars, machinery or classic-car stores) and accommodation (family, staff, guest, holiday or long-term rentals). But holiday lets and long-term rentals aren’t for everyone-including the local planning authorities in many rural areas. Owners lucky enough to be granted permission to create accommodation within outbuildings may be required to sign a Section 106 legal agreement preventing their conversion from being rented commercially or sold as a separate dwelling. Moreover, adds Martin Lamb of Savills in Exeter (01392 455740), you have to plan for a future resale: some buyers are put off by the prospect of too many holiday cottages. ‘Most people want just one or perhaps two cottages for staff, relatives or guests,’ he says. To cater to the various whims of potential buyers, home owners and property developers are increasingly hedging their bets and creating ‘reversible’ conversions. 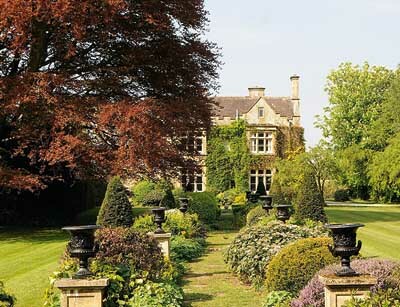 With minimum upheaval, for example, what is currently the ‘party room’ at the Old Rectory in Biddestone, Wiltshire (£2.5 million through Knight Frank, 01225 325994), can become an indoor pool-key plant equipment and infra-structure elements are concealed beneath a sprung floor. says Mr Jones-Davies. ‘Parents appreciate having space for their children, and enjoy using the area themselves for entertaining.’ But amid the current fervour for home cinemas and media rooms, are we in danger of forgetting the simple beauty of an untouched outbuilding?